In 2014, I set a personal goal to publish a 200+ page non-fiction book. My friend, Andy Traub, had published a book on Amazon and I figured if he could do it, I could do it too. That effort culminated about four months after it began, with the launch of 40 Rules for Internet Business Success. It was a moderate success and about 12,000 copies have been purchased or downloaded since the book launched. In 2015, I got the writing itch again and wrote Email Marketing Demystified. About 7,500 people purchased or downloaded Email Marketing Demystified. It wasn’t as successful as my first book largely because it was more narrowly focused. My first two books were making me about $1,000 per month by the end of 2015, but I never imagined that book royalties could create a full-time income. That is, until I heard about how much Steve Scott was making from his Kindle books. Steve Scott is a prolific non-fiction author that has more than 30 books published to the Kindle store. He writes about personal productivity and developing good habits. I met Steve at a conference in 2015, but didn’t realize how much of a publishing kingpin he is until someone shared on a podcast that he regularly makes more than $30,000 per month in book royalties from Amazon. Damn. I’ve read some of Steve’s books and they are well written and well put together. I believed my content was at least as good as Steve’s, so if he could make $30,000 per month publishing books, I could at least make $10,000 per month publishing books as a side project in addition to MarketBeat.com. I knew that if I wanted to reach Steve’s level, I would need to have a lot more than two books on the market. I set out to publish a total of four books in 2016. The Ten-Year Turnaround, a personal finance and wealth building book, was my first project. The Ten-Year Turnaround has the broadest appeal of any book I have written, which has made it my most successful book by far. In less than six months, it has been downloaded or purchased more than 12,000 times. I published a collection of my blog posts in a book called Business Growth Day by Day. I published a book about saving money with a co-author called Simple Savings. I ended the year by publishing a dividend investing book that I could easily promote to MarketBeat’s audience called Automatic Income. By the end of 2016, I had sold approximately 18,000 copies of my books. Additionally, I gave away approximately 20,000 copies of my book through Amazon Kindle’s promotional program, known as KDP Select. My books participate in the Kindle Unlimited program, which allow readers to read an unlimited number of books per month for a fixed monthly fee. I had a total of 315,142 pages read through Kindle Unlimited, which works out to about an additional 1,575 copies of my books. I generated a total of $28,429.31 in revenue from my book in 2016. These numbers aren’t particularly impressive, but I did earn more than $4,000 per month beginning in September of 2016. Publishing Books Requires Significant Time and Money – I write relatively quickly, but I estimate that I spent approximately 6 full weeks of work writing in 2016. That is a significant time commitment given the other roles and responsibilities I have. It also costs me about $5,000 for all of the production costs related to the book, including cover design, print layout, e-book layout, audiobook narration, audiobook editing and initial marketing costs. Almost all of the revenue I made in 2016 went back into publishing new titles. I think my books will ultimately make a healthy profit over time, but the process of putting out books has significant upfront costs. Broadly Focused Books Sell Better – Books that just about anyone can read and get value from are going to sell better than books that target a narrower audience. This is why my personal finance and wealth building books have done better than my Internet business books. I think if I really want to sell a lot of copies of books in the future, my future book projects will need to be a bit more generic and be applicable to everyone. Paid Promotion Works (and It’s Here to Stay) – I’ve had very good success promoting my books through Amazon Marketing Services and Bookbub Ads, especially in conjunction with Kindle Countdown Deals. Simple Savings had more than 600 e-book purchases on one day because of a well-placed Bookbub ad during a Kindle countdown deal. In the future, I plan to spend at least $1,000 per month through Bookbub Ads and Amazon Marketing Services to promote my books on an ongoing basis. These ads will push my books higher in Amazon’s sales ranking and will encourage Amazon to naturally promote them to their audience because they are already selling well. You Need a Team – I have a natural ability to write and do online marketing, but I don’t have a natural ability to do editing, proofreading, graphic design, layout design, audiobook narration or audiobook editing. I decided I would need to identify high-quality freelancers that could be part of my production team, including an editor, a graphic designer, a layout designer, a narrator and an audiobook editor. My production team took care of all of the ancillary tasks relating to putting my books together, which allowed me to focus on writing and marketing. There is no way I could have published four books in 2016 without my production team. I certainly have not achieved my goal of making $10,000 per month from book royalties yet, but I do think I could get there by the end of 2017 if I continue to publish books at the rate that I have been. Unfortunately, I’m just not sure I have it in me to write four books in 2017 again. 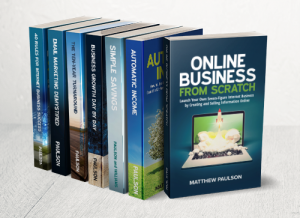 Online Business from Scratch is coming out in February (finally) and I have another personal finance book called Earn Extra Income that is coming out later this Spring. I also plan on creating a bundle of my personal finance and wealth building books and have already launched a bundle of my internet business books, called the Internet Business Bundle. 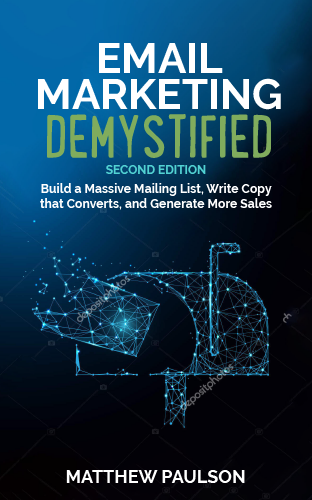 I also helped my friend Anthony Fasano publish his new book, The Content Marketing Equation, in exchange for a cut of the royalties he earns on his new book. These projects were all written in 2016, have been edited and are slated to come out during the first several months in 2017. Once these projects are on the market, I think I can consistently earn $6,000 to $7,000 per month in book royalties. I am currently not sure whether I want to continue pursuing my goal of earning $10,000 per month in book royalties. I certainly enjoy writing, but it’s a much less profitable activity than running MarketBeat and focusing heavily on my book projects also tends to distract me from running my other companies. Given the right amount of hustle, I think I could make a six-figure annual income from writing and publishing non-fiction books. The question is whether or not the juice is worth the squeeze given my other business interests. It’s just a lot easier to make money through MarketBeat, GoGo Photo Contest and USGolfTV than it is to publish books. When an advertiser is willing to pay as much as $5,000 to send an email to MarketBeat’s email list, it’s hard to get financially excited about writing and publishing books that will earn $500 to $1,000 per month in royalties. The opportunity to create a full-time income writing is there, I’m just not sure if it’s what I want to do given where I’m at in my career. Regardless of whether I continue to pursue the $10,000 per month royalty goal, I do plan to continue writing because I want to share knowledge, build my personal brand and help other people grow their businesses and achieve financial freedom. I will probably just significantly slow down the pace of publishing books to one or two per year and focus on the messages that I think are most important to share with the world. At some point, I want to publish a book about personal productivity and possibly another book on investing. I don’t have any plans to begin those projects in the immediate future, though. I would like to hear from/about self-publishing authors who are making good incomes from their books who are focusing on subjects other than writing, publishing and marketing, per se. That is not to be critical of those who concentrate on those areas, like you, Matthew; we need you! All of you! It’s just that those three areas seem to be the most successful for independent, self-publishing authors. I realize that may be a false impression on my part, but it does look to be true from my perspective. I write insurance text books. I do okay sales-wise but not anywhere near what you cited in your latest post. Most of my sales are to longtime, repeat clients who are California insurance licensees. Insurance agents/brokers are a sizable market here, but I’m a very small player in a highly competitive game. I’m impressed by guys like you who decide to go after your markets and actually do it. Keep the info coming. I need it; we all do. Thanks! I’ve been writing books on Amazon and it has opened my eyes to really becoming a full time author. My wife and I have written five books with our six and seventh ones coming out over the summer. On a bad month, we would make $3,000, but we had two months were we generated $10K+. It really comes down to developing a series. Hooking the audience into your first book, and then keeping them wanting the second, third and fourth book. You mentioned the KDP, that is critical. We had months were we had 368K pages read and 3,000 copies sold. You can almost make as much through KDP as you can through the sales. My encouragement would be to look at writing a series. I know your interests is finance, but have you explored any other areas of fiction?